Later this month, PBS will debut new episodes of the American Masters documentary series focusing on culinary icons Jacques Pepin and James Beard. The new docs will be paired with previous American Masters episodes about Alice Waters and Julia Child for a two-night “Chef’s Flight” series. 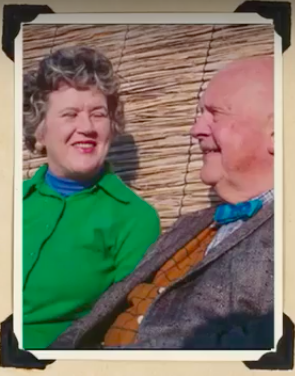 Here is a clip from the episode “James Beard: America's First Foodie,” which includes footage of the food writer starring in TV’s first-ever cooking show, I Love to Eat. Although this program broke new ground, it was not anywhere near as popular at Julia Child’s The French Chef, which premiered several years later. Beard was an early champion of Mastering the Art of French Cooking, and he threw Child a party when she left France and came back to America. They quickly became best buds, although as the talking heads in this clip note, he was always little bit jealous of her affable personality and popularity.